An 80-year-old South Florida man was awarded $13 million after a botched cataract surgery that a jury concluded was the result of medical malpractice. NBC-6 Miami reports jurors concluded the medical center where the surgery was conducted was liable in a case involving the negligence of an opthalmologist with whom the center contracted for routine eye surgeries. The surgery resulted in patient suffering total blindness in one eye. As our medical malpractice attorneys in Miami can explain, normally medical centers (hospitals, clinics, nursing homes, etc.) aren’t vicariously liable for the negligence of independent contractors. Instead, they are only vicariously liable for the work of employees. While it must seem to many patients that doctors who work at these facilities work for them, more often than not, this isn’t the case. However, in this case, the jury determined the physician was an actual employee of the center, even though he was practicing on contract. Vicarious liability stems from a legal doctrine of respondeat superior, which is Latin for “let the master answer.” It means an employer can be liable for the negligent acts of employees who were acting in the course and scope of employment. It does not require proof that the facility itself did anything directly wrong, only that it employed the person who was negligent and that person was acting as an employee at the time the injury occurred. Direct liability requires a finding that the employer itself was somehow negligent, usually in its inadequate supervision or something along those lines. The finding in this case is somewhat unique (but should be explored in other West Palm Beach medical malpractice cases), because jurors found the doctor was an employee, not just a contractor. Usually we hear this issue raised in terms of employee misclassification in workers’ compensation matters. An employer will say a worker is an independent contractor so they can lower their insurance costs. However, simply labeling a worker an employee doesn’t mean it’s set in stone when there is a dispute. Courts will weigh things like how much control the company had over the worker, how pay was structured and how much freedom the worker had to turn down work from the company. This case was a bit different because the issue was how the doctor was represented to patients. By Florida law, if a company, by their words or conduct, allows people to think a person doing the service actually works for the company, then the company can be held responsible. In this case, according to court records, the doctor was negligent in erroneously injecting the wrong medication into the eyes of several dozen patients back in 2013. One of those patients was the plaintiff in this case. This medication had the effect of causing damage to the cornea, resulting in inflammation and various levels of visual loss. In some cases, such as this, patients were rendered totally blind in the eye that was injected. Within a few days, several patients complained to the center of blurry vision and pain. However, the injections continued even after those complaints. It was later learned that the doctor typically injected a certain type of antibiotic into patient’s eyes. However, when he was instructed by the center to switch to a different medication that was to be applied topically, he instead injected the different medication, which caused the damage. 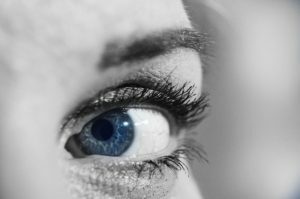 Plaintiff’s wife later said her husband went into the procedure expecting to see more clearly, and walked out totally blinded in one eye – unable to safely drive or even walk without losing his balance. Jurors found the medical center was not directly liable, but it was vicariously liable. A defense attorney said an appeal is planned.